Head into the lab for an in-depth investigation of genetics, the branch of biology focused on heredity and variation in organisms, and DNA, the acid that holds the blueprints for life. See genetic material with your own eyes as you isolate the DNA from a tomato in a test tube. Investigate inheritance and learn how traits are passed down from parents to children. Learn about dominant and recessive genes and play inheritance games to determine how traits will be expressed. Learn about the biology of reproduction, the components of cells, and how chromosomes are combined and copied. 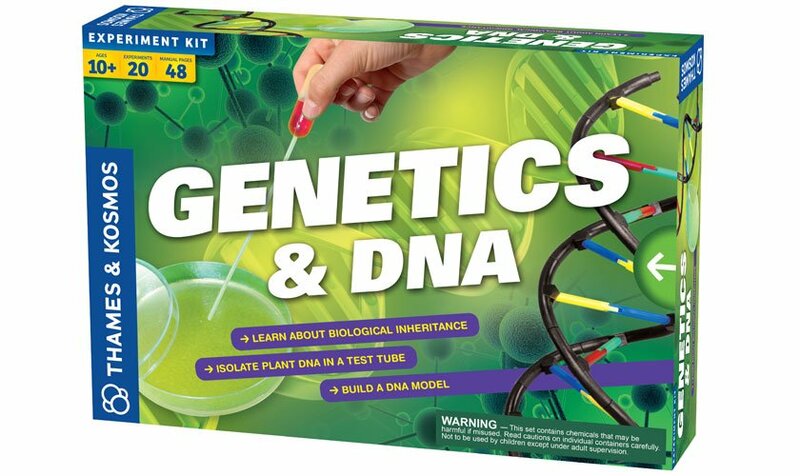 Assemble a model to see the elegant double-stranded helical structure of DNA. Then crack the genetic code and find out how the different parts, called nucleotides, fit together. Analyze DNA evidence to identify suspects and solve a crime. Breed your own bacteria colony to experiment with survival of the fittest. Read about how mutation affects genes and how scientists clone plants and animals. Full-color, 48-page manual.